The enormously popular AC1 Rhythm VOX series of miniature amps has been recharged! It has returned as the AC2 RhythmVOX for guitar and the AC2 RhythmVOX Bass for bass. The output has doubled from 1W to 2W, further enhancing the amp's sound quality. The high-quality effects and wide selection of rhythm patterns are easy to use and will have you hooked on playing through your AC2. Battery operation is supported, so you can use the amp anywhere. Careful attention has been paid to every detail of these amps, which look so much like a real VOX amp that you'll forget it's a miniature. Whether it’s your first amp, a practice or warmup amp for backstage, or as a rhythm box, the AC2 is a cute yet ferocious unit that’s at home in any situation. • Battery-powered miniature amp with a variety of functions including rhythm patterns and effects. • 2 watts of output provides plenty of power in spite of the amp's ultra-small size. • A total of 81 rhythm patterns: 9 genres × 9 variations. • Five types of effects, including chorus, delay, and reverb. • Exquisitely crafted looks for even greater realism. • High-performance dedicated E-string tuner. • AUX IN jack can be used for jam sessions and playing along with your favorite music. • Six AA batteries allows for extended playing of approximately 20 hours. • Sleep function prevents battery exhaustion even if you forget to power-off. 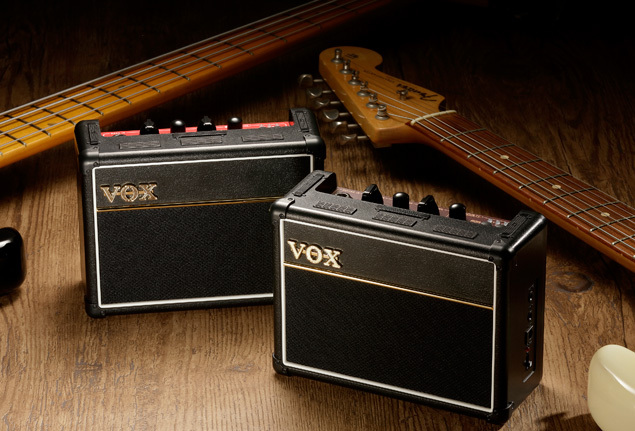 2 versions of the Vox AC2 RhythmVOX is available: AC2 RhythmVOX Guitar & AC2 Rhythm Vox Bass. Vox AC2 RhythmBOX Guitar features 3 modes that allows switching between clean, crunch and lead mode, while the Vox AC2 RhythmVOX Bass features 3 sound variatiion wih different equlizer settings: flat, normal & scoop. Expect great tones from it's analog circuitry. Boasting unexpected level of sound quality and diversity for its class, the rhythm sound generator will further enhance your playing. Going beyond the 66 types of the previous model, the new AC2 RhythmVOX provides a total of 81 rhythm patterns (9 genres × 9 variations); all of these phrases have been newly programmed from scratch. The rich assortment emphasizes the classic standard rhythm patterns that will be most useful, whether for casual performance or for practicing. The AC2 RhythmVOX now features built-in effects. You can choose from three types of effects (chorus, delay, and reverb) and even combinations of these effects, for a total of five variations. Each effect provides two parameters that you can edit you dial in your sound. All by itself, the AC2 RhythmVOX delivers serious and diverse sound in the smallest possible setup. 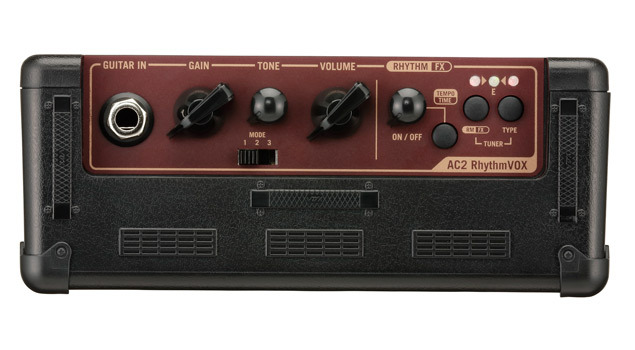 The AC2 RhythmVOX is equipped with numerous functions that are indispensable when playing guitar or bass. A high-performance dedicated E-string tuner, a headphone jack, and an AUX IN jack are provided. You can use these functions in a variety of ways; you can input an external audio source such as your smartphone or MP3 player and enjoy jamming along with songs by your favorite band, or create your own original minus-one tracks for practicing before you play with your band. 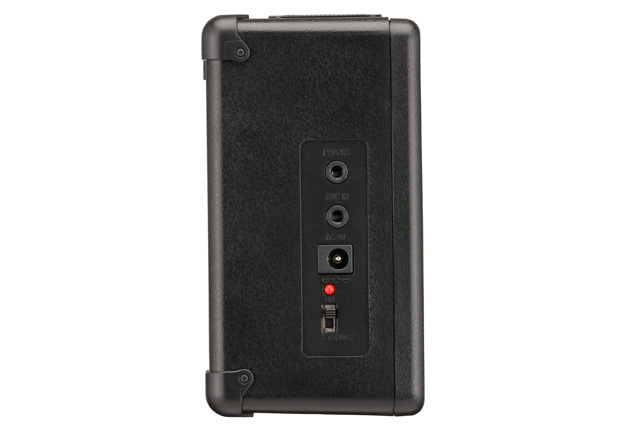 The AC2 RhythmVOX will also operate for approximately 20 hours on six AA batteries. There's a new sleep function that automatically enters a low-power state when there has been no input or operation for a certain length of time, preventing the batteries from running down even if you forget to turn off the power. 170 x 70 x 128 mm / 6.69" x 2.76" x 5.04"